At Linden Dental in Naples, FL, we want all our patients to have a smile they can be proud of. One of the best ways you can restore your smile after missing teeth is with dental implants, which are quickly becoming the most versatile and popular tooth restoration available. Below, Dr. Richard Linden and Dr. Maria Linden address some of the common issues that dental implants can improve. "It's difficult to chew with missing teeth." Even one missing tooth can throw off the way you chew, leading to uneven wear on your molars or avoidance of nutritious, hard-to-chew foods like meat or raw vegetables. 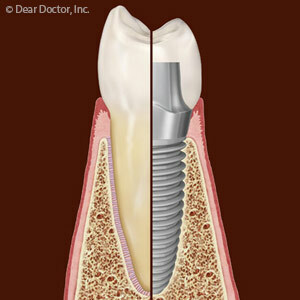 Dental implants from your Naples dentist restore your ability to chew comfortably and efficiently. They function just like a natural tooth and won't shift out of place or dislodge when you eat certain foods. As long as you avoid biting down on excessively crunchy foods, like ice or hard candies, dental implants allow you the freedom to eat whatever you enjoy. "I don't like the way I look." Missing teeth can be detrimental to your self-esteem. Many people take efforts to hide the flaws in their smile, whether it's hiding their mouth behind their hand or refusing to smile altogether. These actions can be interpreted as standoffish or incompetent and give people the wrong impression about you, especially in situations like job interviews. Dental implants from your Naples dentist restore your smile, giving you a seamlessly beautiful full set of teeth that you'll be proud to show off. The crown of your implant will be made from high quality porcelain, a ceramic that replicates the translucency and color of natural teeth. They are carefully shaped, painted, and shined to match the rest of your teeth; when you smile, only you'll know that you have dental restorations! "I've heard dentures aren't comfortable." While great strides have been made in the way both partial and full dentures look and feel, they have their drawbacks. Many people find that dentures are difficult to get used to wearing. They can also be inconvenient. They need to be removed for cleaning and can't be worn while you sleep, and typically require regular adjustments to make sure they continue fitting properly. 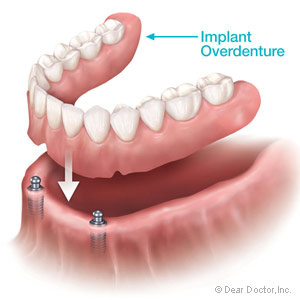 Dental implants, however, eliminate all of the hassle associated with dentures. They can be treated just like natural teeth, which means they don't need removal for cleaning or adjustments. You may even forget you have one! Ready to make the first decision toward your new smile? 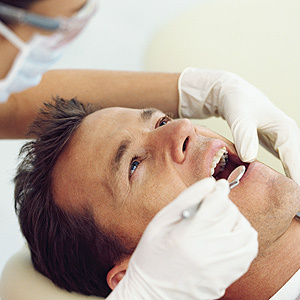 Call Linden Dental in Naples, FL, today to schedule a consultation appointment with one of our dentists today!